Want an El Dorado Casitas resort map? | Sunset Travel Inc.
Home » News » Want an El Dorado Casitas resort map? Want an El Dorado Casitas resort map? Here is a copy of the El Dorado Casitas resort map that they give you when you check in. Click here to download an El Dorado Casitas & Royale – Resort Map. 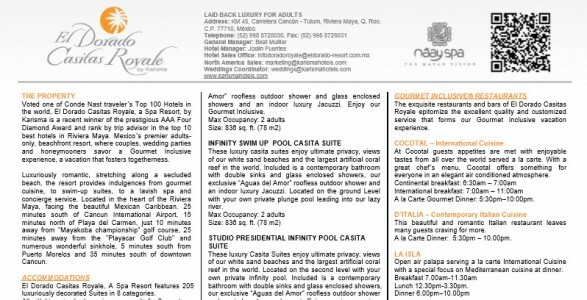 This is a copy of the info in our post about El Dorado Casitas Resort info. This was supplied to us by the resort. It is quite comprehensive. If the Resort Info and Map do not answer your question, click on the ‘Ask Me’ button.